» SEPA: WELCOME HOME LTC MAY Warriors' Watch Riders: WE HAVE YOUR BACKS AT HOME! The WWR turned out in force to welcome home a true hero. 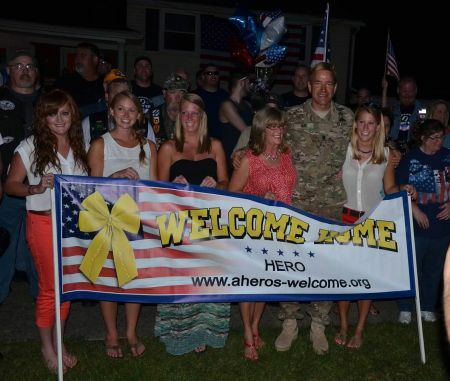 This Lt Colonel, David May, is Special Forces, returning to home turf from his THIRD tour in Afghanistan. He is FBI at home, and the Springfield Township administraton and police department turned out in force. The three-hour delay in the flight was more than worth our wait – what is three hours compaired to three tours of service to our nation? It is the LEAST we can do. Springfield Twp. Police sent an esort to the airport to lead us all back home to Springfield, an indicaton of how respected this LTC is in his home town. 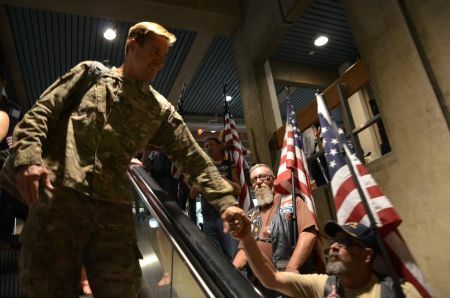 Welcome Home LTC May – and thank you for your service to your nation! 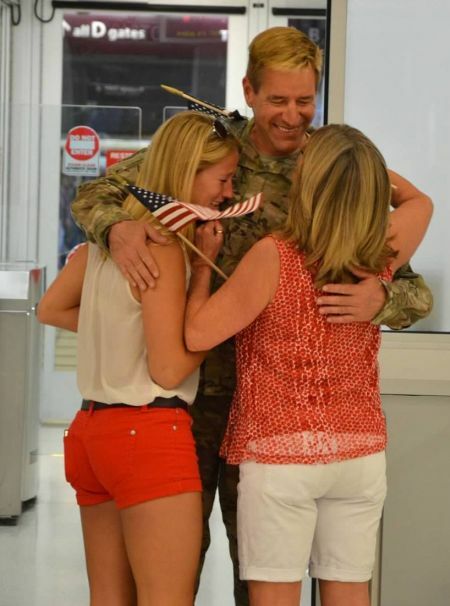 1 user commented in " SEPA: WELCOME HOME LTC MAY "
My family and I would like to thank all of you for making my dad’s return home on June 29th such a special day. Coming home from the airport would’ve been a comforting and joyous experience for us regardless, but doing it in such style with all of you made it truly unforgettable. My dad was so surprised, and even though my mom and I generally knew what was planned, we were blown away by how amazing it was when it actually happened. What all of you do is so selfless and honorable, and really means the world to the soldiers and their families.